Toshiba is liquidating its British nuclear power unit and selling its US liquefied natural gas (LNG) business. The moves come as the once-mighty industrial conglomerate seeks to unload troubled assets and regain investors' confidence. The plans are part of a new five-year business strategy Toshiba announced today, which also included 7,000 job cuts, or 5% of its workforce, over five years. The company's shares surged as much as 13.7% to near two-year highs after the announcement, helped also by a much anticipated move to repurchase up to 40% of its own shares from Friday. The scandal forced it to recognise huge cost overruns at now-bankrupt US nuclear unit Westinghouse. It also prompted it to sell its prized memory chip unit earlier this year to a consortium led by US private equity firm Bain Capital and leaving it with few growth businesses. 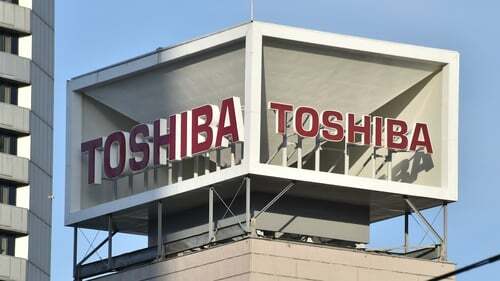 Toshiba had already promised a share buyback of 700 billion yen earlier this year, but the timing had been undecided. Its announcement today appeared to outweigh a weaker profit forecast - the company said it now expects a full-year operating profit of 60 billion yen rather than a previous estimate of 70 billion yen. The decision to liquidate NuGen, however, would be a blow to Britain's plans to build a nuclear plant that was meant to provide 7% of the country's electricity. South Korea's state-run Korea Electric Power has been in talks with Toshiba to buy a stake in NuGen. South Korea's energy ministry said today it will closely coordinate with the British government on the NuGen project, while monitoring the liquidation process with KEPCO. On the LNG project, Toshiba did not identify the buyer, saying that it was a foreign entity and will be announced later. It will be paying the buyer $800m to assume its commitment to purchase 2.2 million tonnes per year of the fuel from Freeport LNG in Texas.